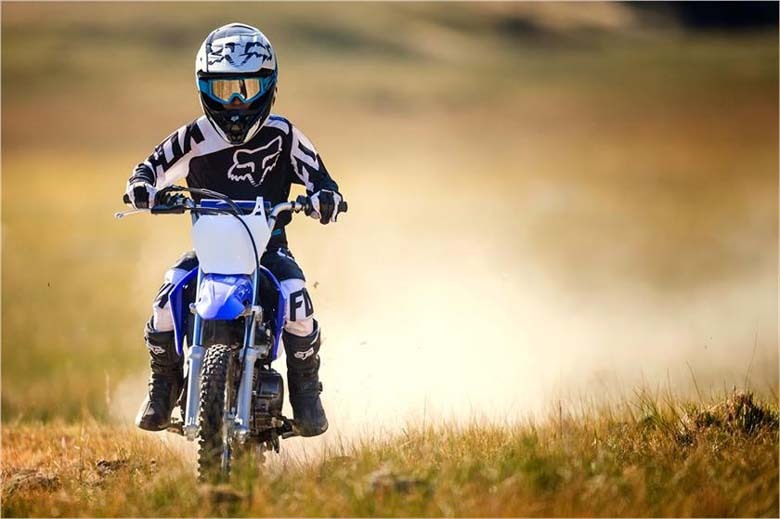 The newly launched 2017 Yamaha TT-R110E Dirt Bike is another “Small Package – Big Fun” bike of Yamaha brand. This bike is suitable for both kids and adults thanks to its chassis and incredible seat height. 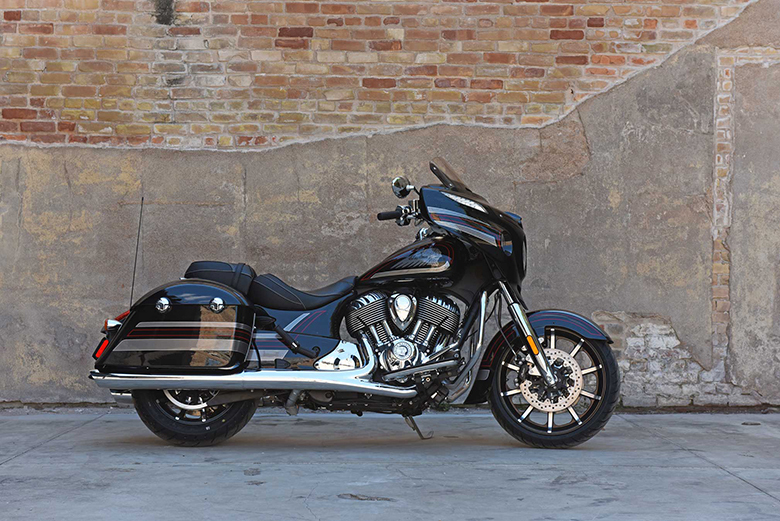 This bike features the incredibly powerful engine with the outstanding chassis. 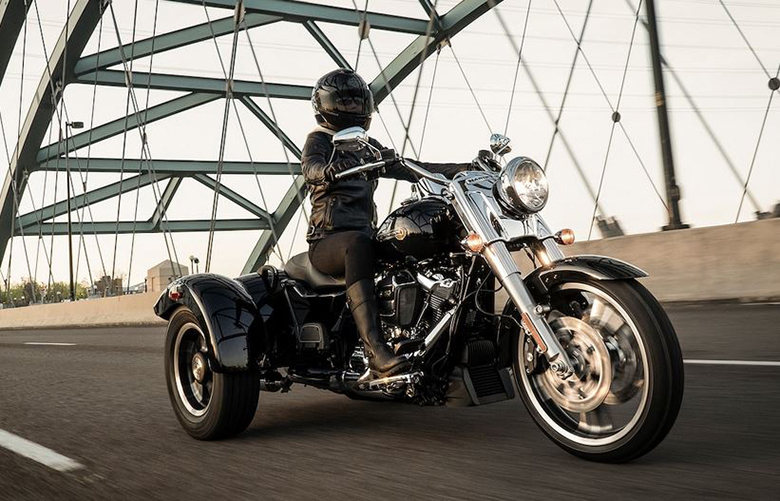 The handlebars offer excellent handling experience. The suspension and braking system are fully operational. 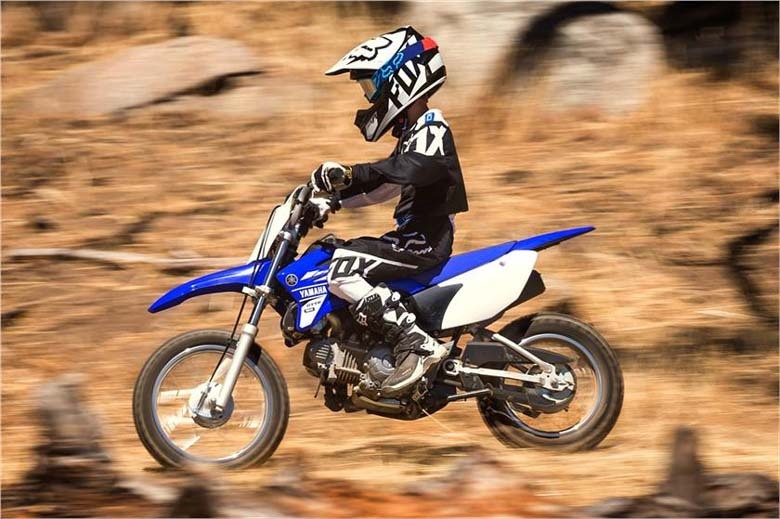 The review of newly launched 2017 Yamaha TT-R110E Dirt Bike along with the specification and price are written below. The newly launched 2017 Yamaha TT-R110E dirt bike comes with the powerful air-cooled engine of 110 ccs. It is SOHC four-stroke powerplant engine, which is tuned for maximum off-road performance in the broad range of trail conditions. This engine features a combustion chamber with the 9.3:1 compression that produces max torque at 4000 rpm with maximum horsepower at 7500 rpm. 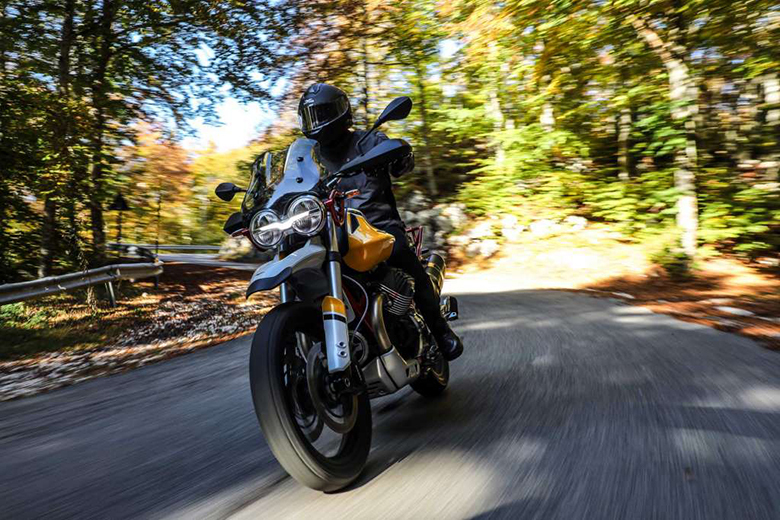 The new four-speed gearbox with the automatic clutch has the right gear for whenever rider ride. The new convenient electric starter features an easy starting and backup kick starting. It has new CDI ignition system with the ultra-reliable, and it does not need any maintenance. This engine features automatic cam chain tensioner that means minimal maintenance and longer engine life. It provides an easy access tool-free air filter that adds extra convenience during maintenance. 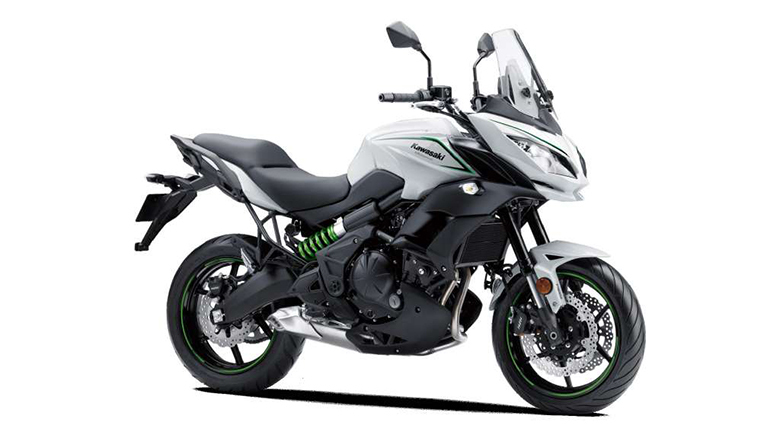 The new lightweight exhaust system features quiet, USFS-approved spark arrestor offers the best performance in all conditions. 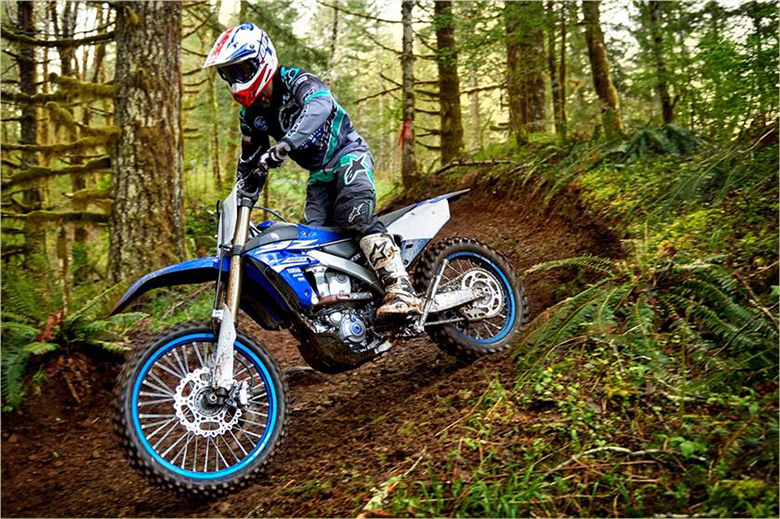 The newly launched 2017 Yamaha TT-R110E dirt bike comes with the robust and compact frame. 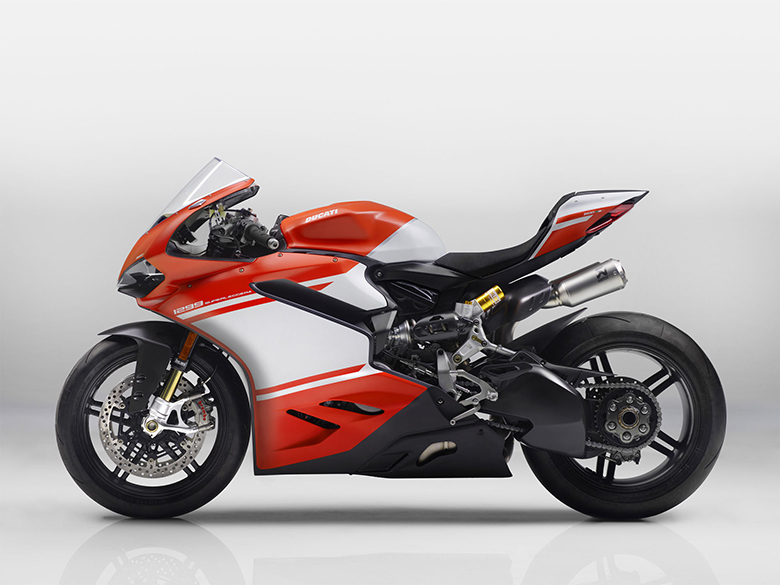 It features steel backbone frame tires with the steering head and swingarm pivot together via a straight line. It has an engine mounted with three places for optimum strength and high ground clearance. This bike features 31 mm of a fork with the high-tech internals including a damper valve with an oil lock offers excellent damping, great bottoming resistance and 4.5 inches of smooth travel. 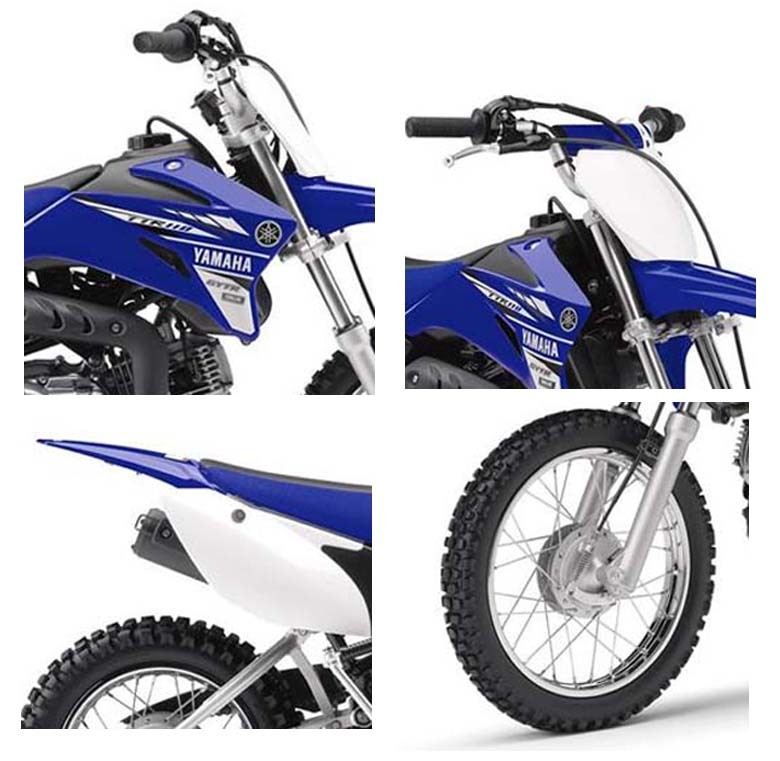 The newly launched 2017 Yamaha TT-R110E dirt bike features mono-cross rear suspension pivoting on the robust, 12 mm shaft, along with the gusseted steel swingarm, which provides excellent rear wheel control through a wheel travel of 4.3 inches. The new Die-Cast aluminium top triple clamps help to provide light, perfect handling and it looks good. The design of this bike is quiet similar to 2017 Yamaha TT-R50E, but is bigger in size. 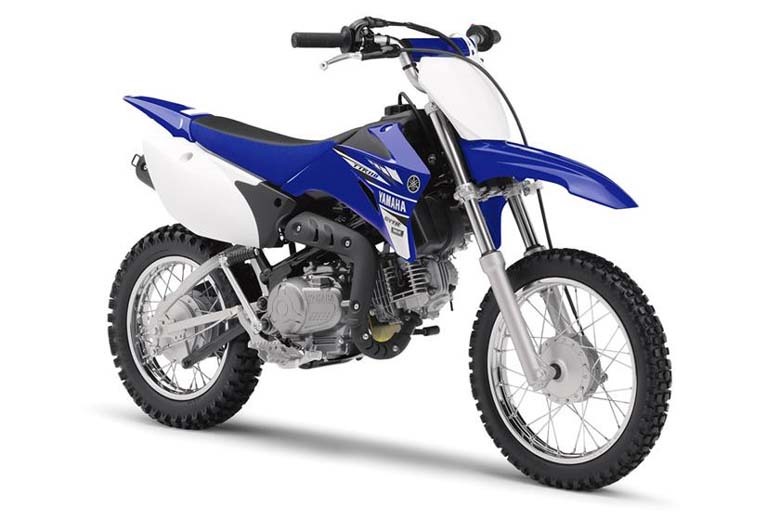 The height of the seat is 26.4 inches, and dirt bike has ground clearance of 7.1 inches, which helps for confident performance on rugged trails. The braking system offers the best performance. It consists up of the front and rears drum brakes that provide secure and dependable stopping power. The wheels provide exceptional grip. They have 14 inches of front and 12 inches of rear wheels that inspire high riding confidence by keeping the seat low and steering light. The new knobby tires provide superb grip and exceptional wear. 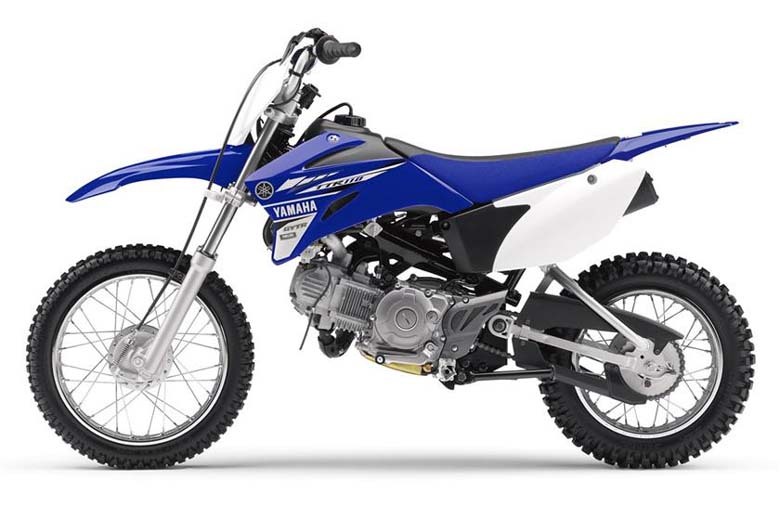 The newly launched 2017 Yamaha TT-R110E dirt bike comes with the long, YZ-style seized seat. The seat height is kept quiet, comfortable and it allows natural movement of the rider. The overall graphics are excellent inspired by Team Yamaha colour like the other Yamaha Bikes. 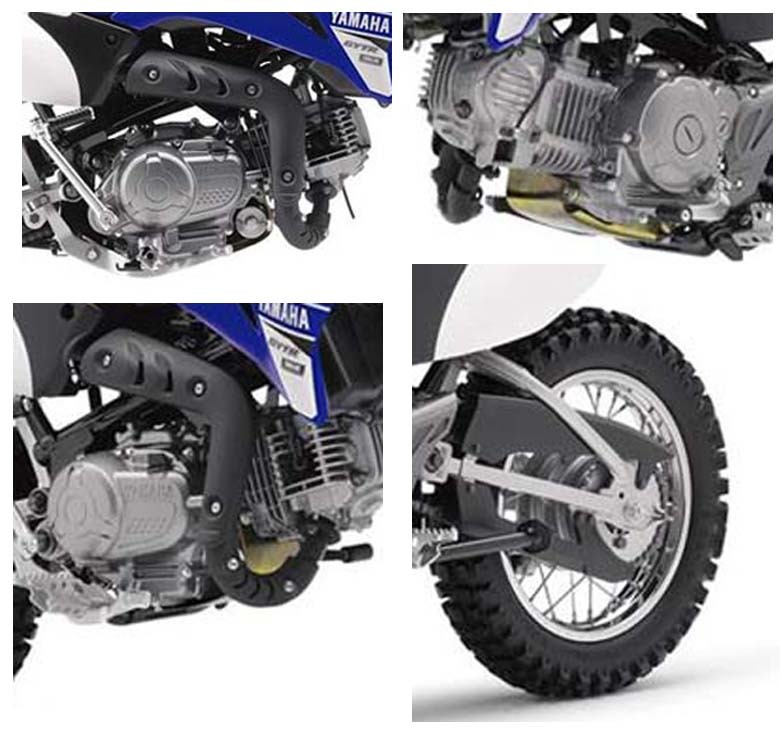 The front and side number plates give styling similar to larger YZ lineup. The large and folding foot pegs offers excellent footing even in wet and muddy conditions. The new key-type ignition switch deters the unauthorised riding. The newly launched 2017 Yamaha TT-R110E dirt bike comes with the price of $ 2,249. 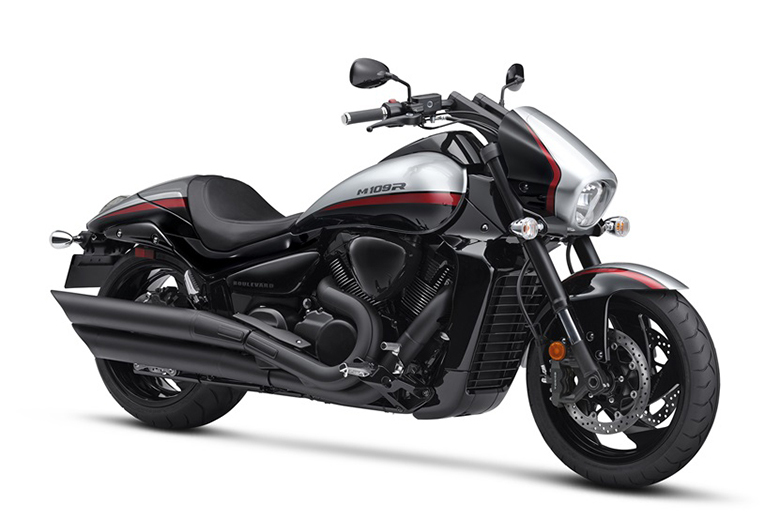 It features Team Yamaha Blue and it is available from October 2016. The newly launched 2017 Yamaha TT-R110E dirt bike comes with the number of features. 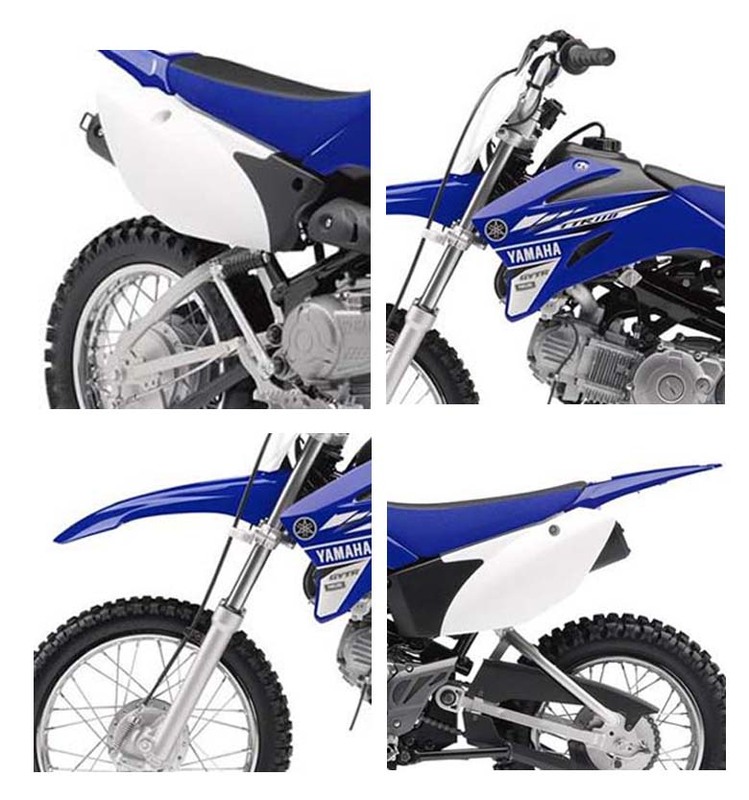 This article provides complete information about this dirt bike. The chassis is fantastic; graphics are mind blowing, and design is excellent. The seat offers maximum comfort and movement during the ride. The engine response is incredible, and it has the best ignition system. 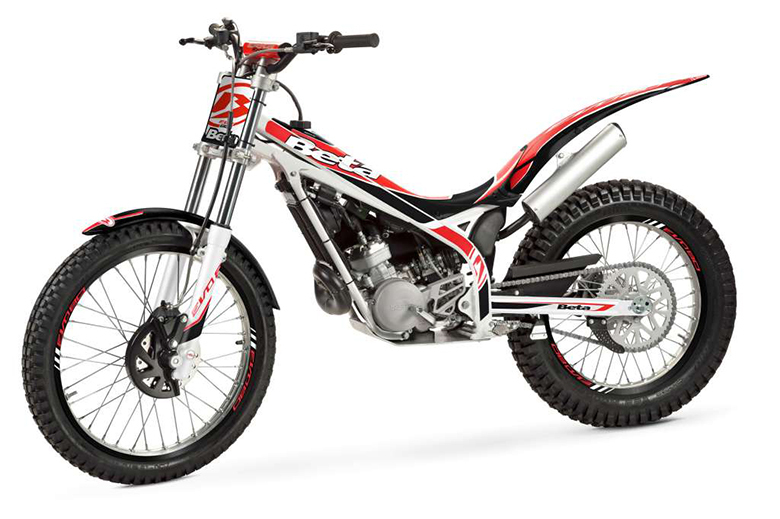 In short words, this is a fantastic dirt bike with exceptional features. Do not forget to comment here.